Ben had to travel for one last time to Beijing. Ben wanted to get some Bak Kut Teh spice packs for one of his colleague in Beijing. 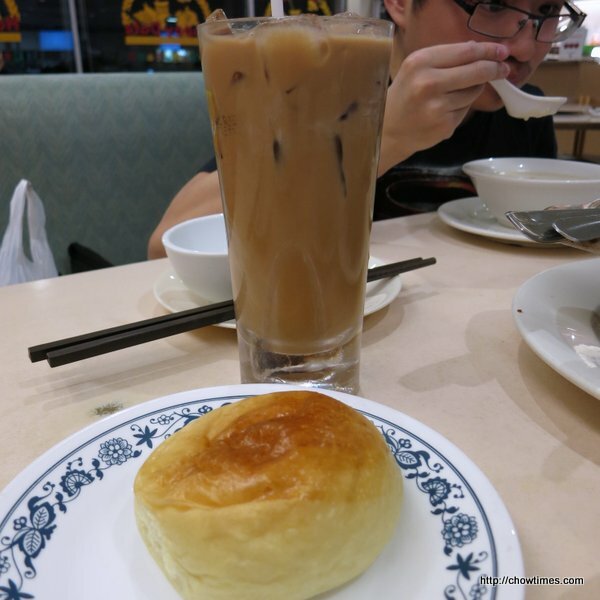 I remembered Great One Supermarket has it and since we were in that strip mall, we had dinner at Happy Date Bakery & Restaurant for convenience. 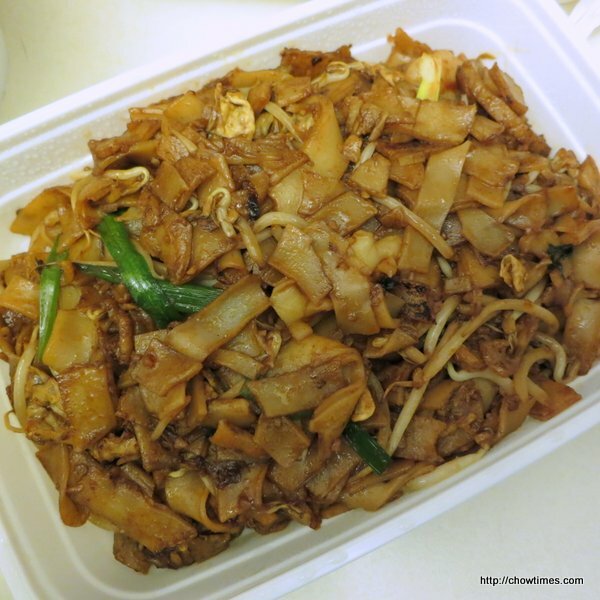 Nanzaro ordered a Fried Rice Noodle Malaysian/Singaporean style. It was a large serving for $10.80. 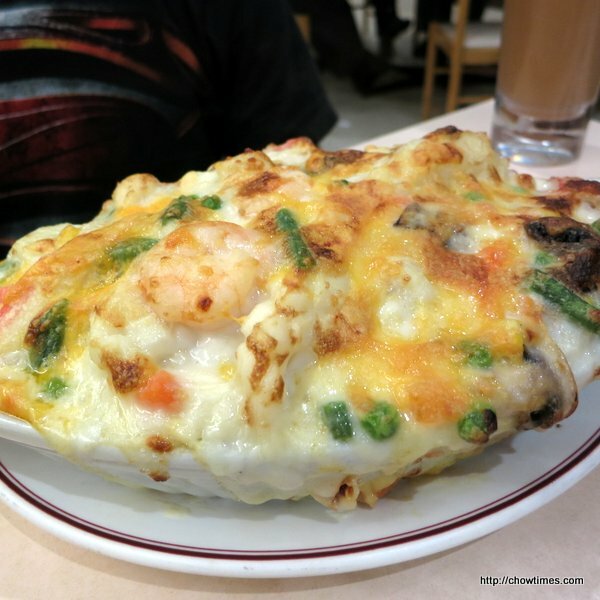 Arkensen ordered a Baked Seafood Rice. It was another big serving. This is $11.80. Both Arkensen and Nanzaro had to pack their leftovers to go. It was a storming winter Saturday evening. We went out for dinner looking for something heart warming. 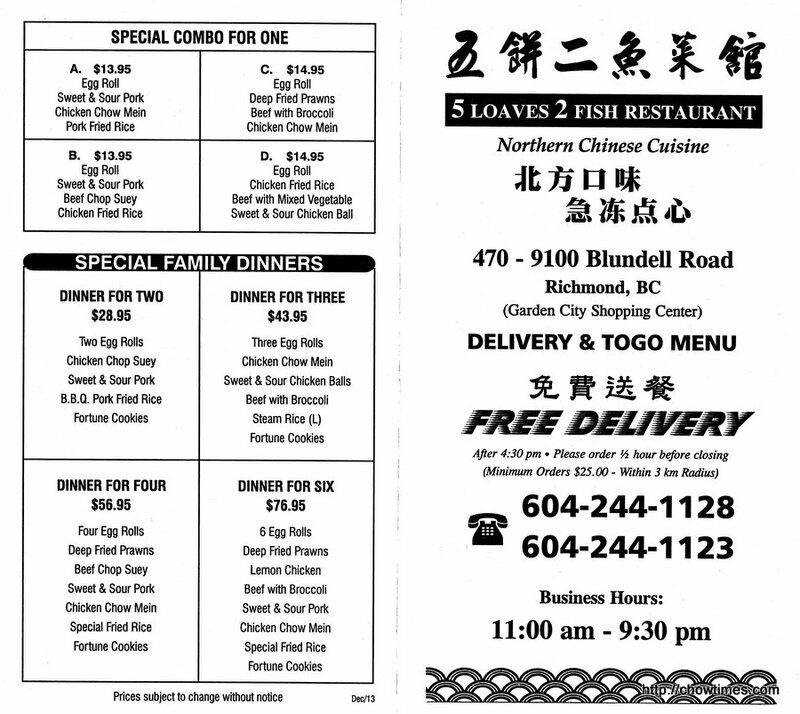 We recalled seeing a poster of a winter combo at Hing Hung Restaurant and East Fusion Food on Capstan Way. 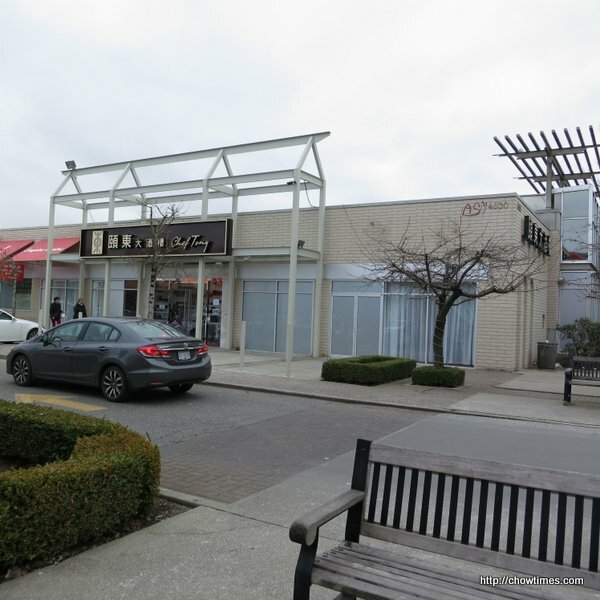 We were surprised that East Fusion Food was closed (for renovation ??). 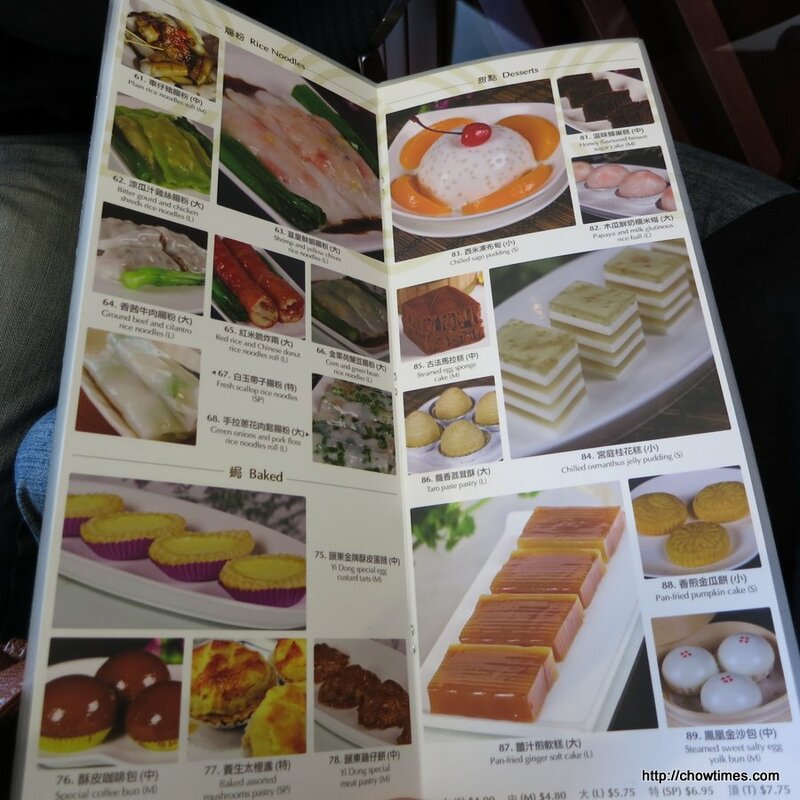 So, we settled for Hing Fung Restaurant. The winter combo is a three dish combo. 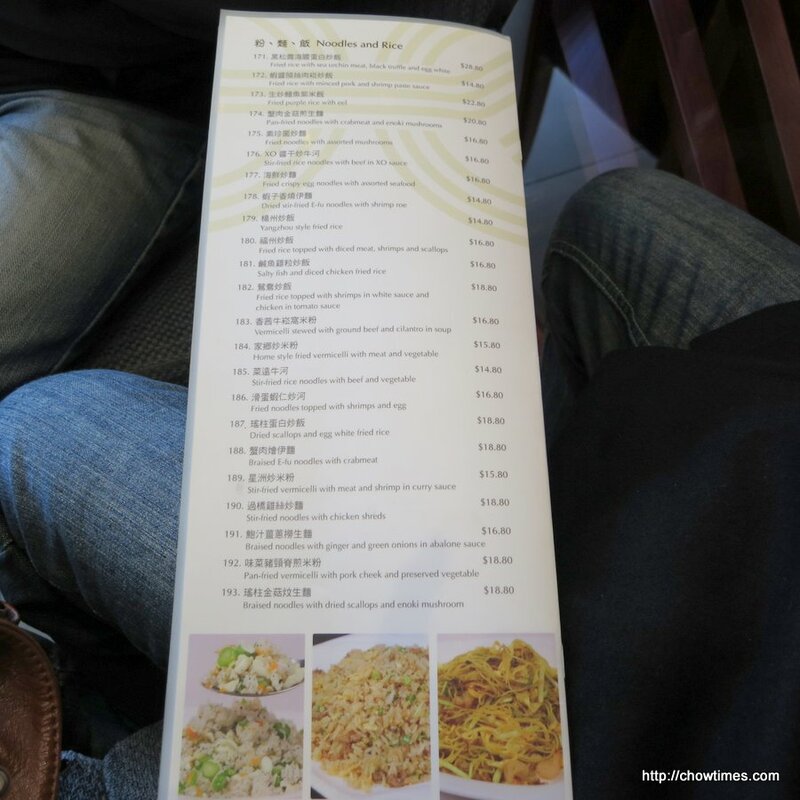 One of the item in the combo is the above Snake Soup. 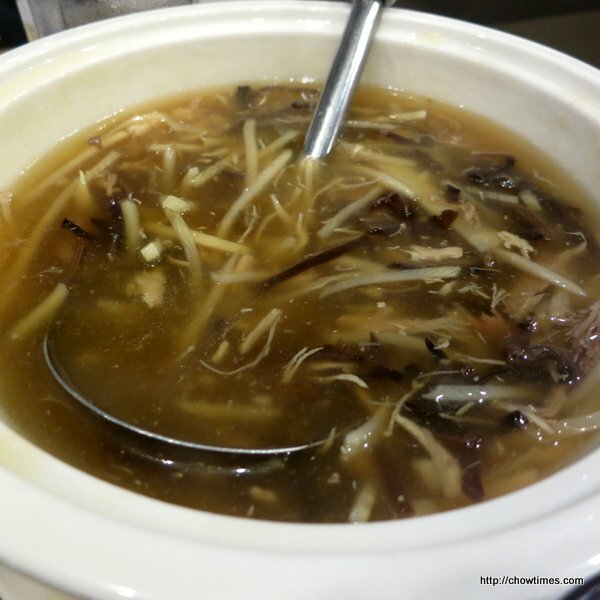 It is a thick soup with bamboo shoot, cloud ear and shiitake mushroom besides some slivered meat. 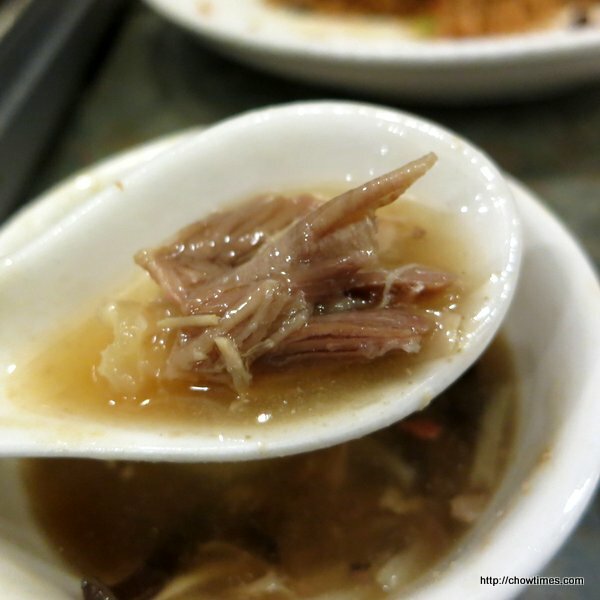 We are not sure how snake meat looks like. 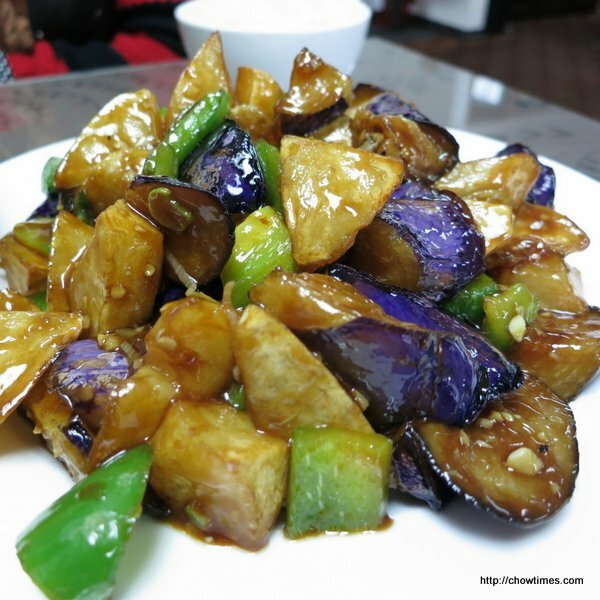 Is snake meat a white meat or dark meat? The meat above was a bit tough. Anyway, there was not much of meat in the soup. We found that the soup was quite bland and there was quite a bit of leftover since it was a big bowl. 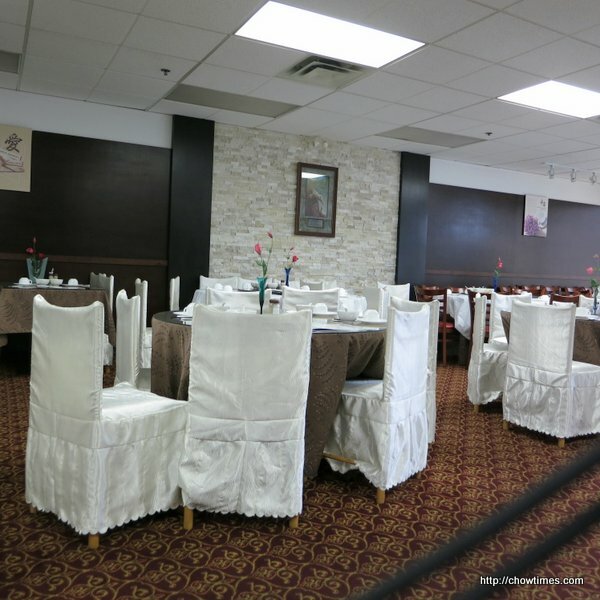 There is a new dim sum restaurant on the previous King Buffet location. 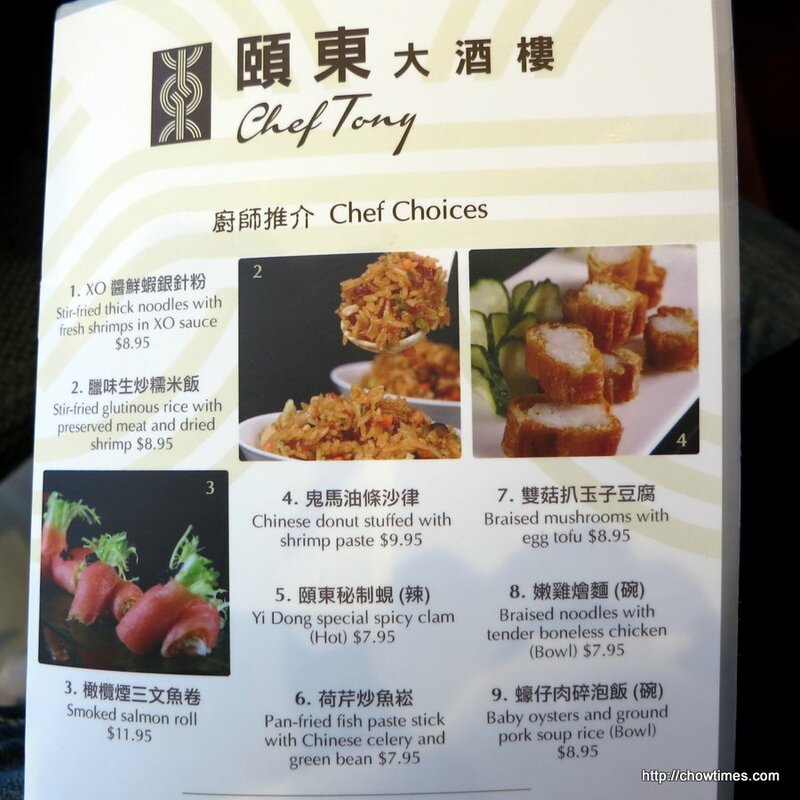 It is very rare for a Chinese restaurant to be named after it’s chef; Chef Tony is the name of the restaurant. We came on a Sunday morning. We arrived at 11:45AM and was told the wait will be 30 minutes since we did not have a reservation. 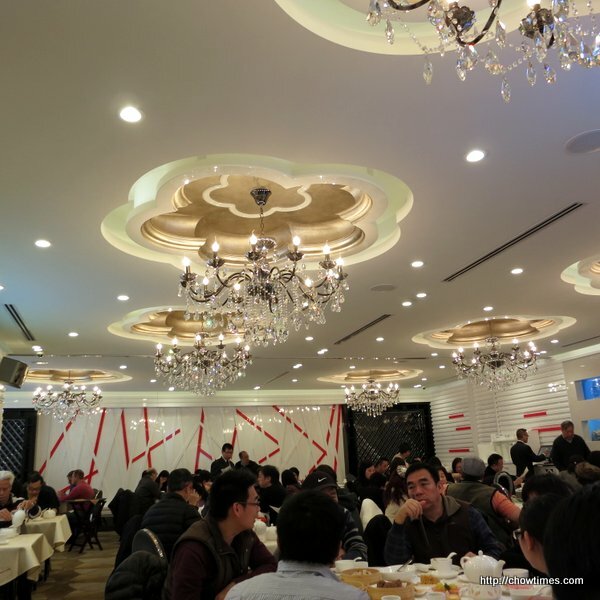 The decoration of Chef Tony is modern and the paint work is very shiny, not typical of dim sum restaurant. Do not be misled by these empty waiting seats. They were occupied most of the time. 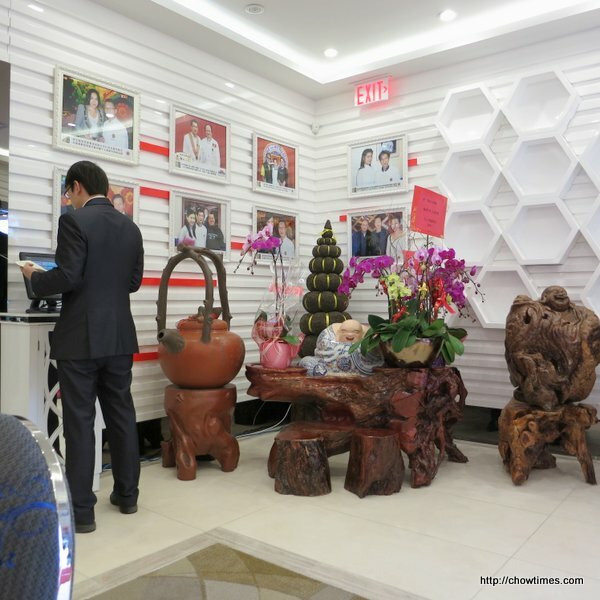 The entrance is decorated with photos of Chef Tony with some celebrities, I presumed. We waited for almost an hour before we got our table. So, reservation is highly recommended if you decided to give this restaurant a try. 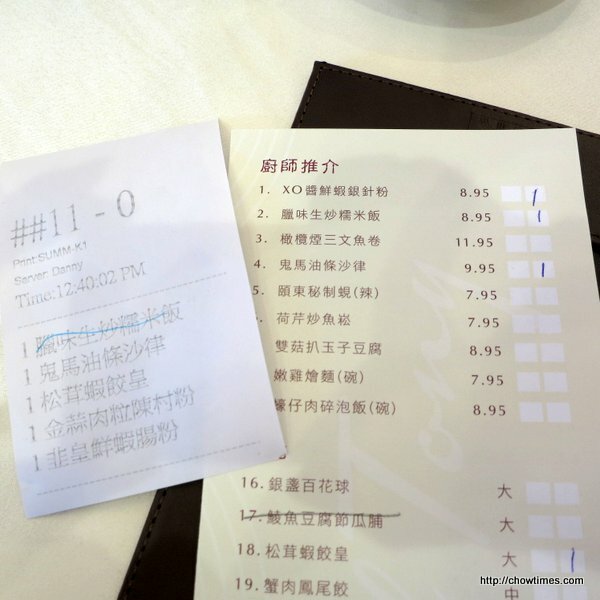 The charge for tea is $2 per person is a little steep. 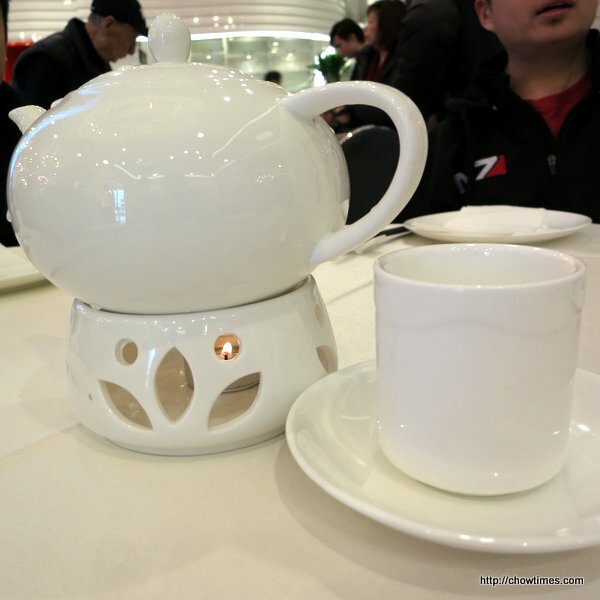 We had Chrysanthemum tea. 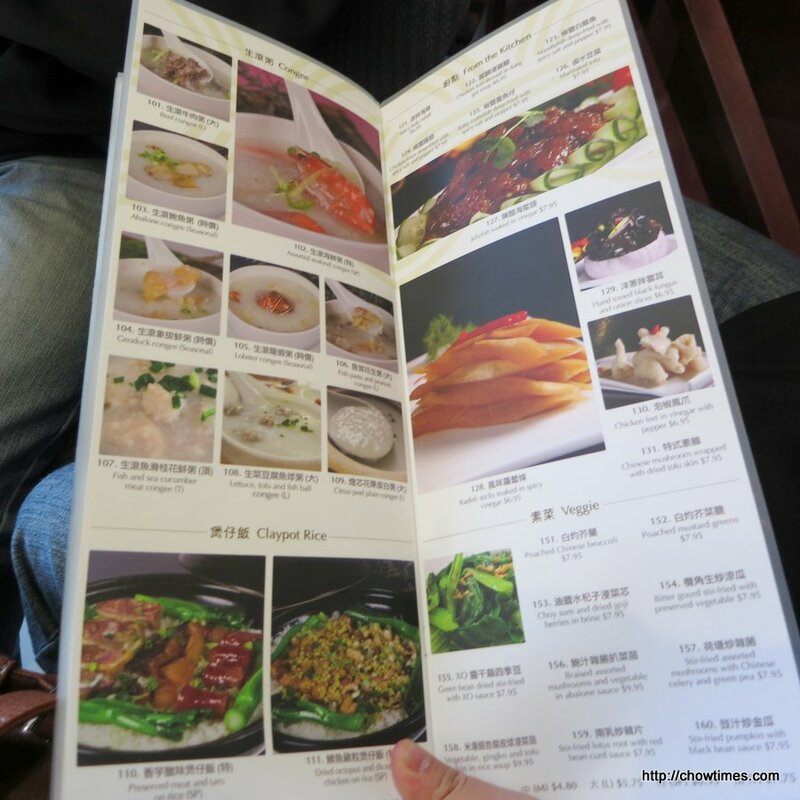 We spent our waiting time browsing through the menu which has lots of pictures. 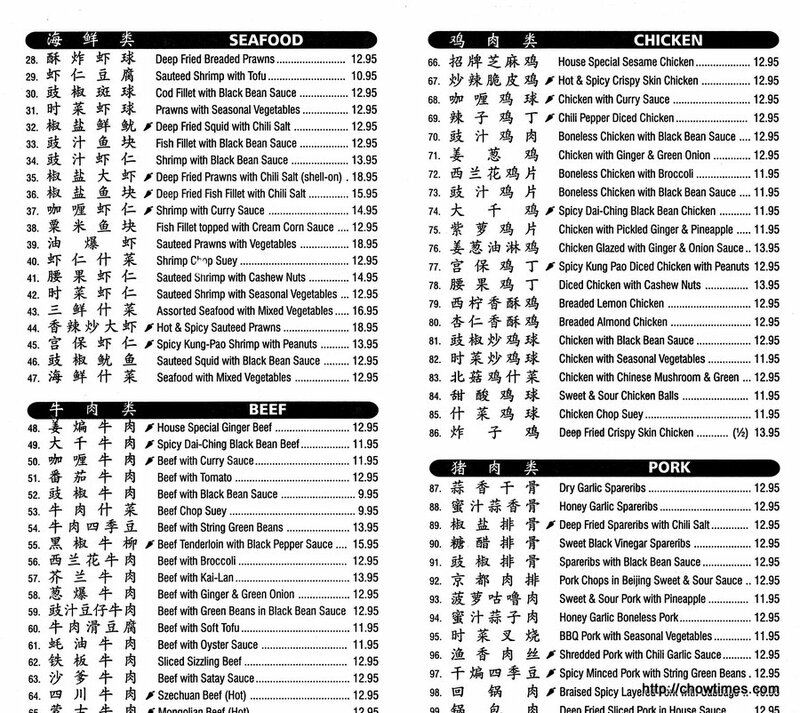 You can click on the menu to have a larger view. We ordered 6 items to share but when one of the item was missing. We just let it go. With Valentine’s day around the corner, Michelle shared a Chocolate Yogurt Snack Cake for dessert at the South Arm Older Adults Cooking Club. 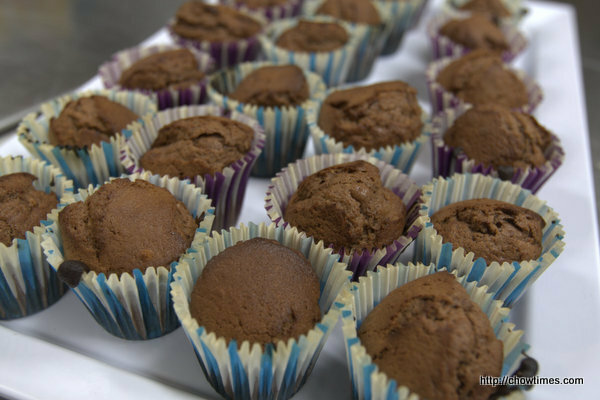 These mini Chocolate Yogurt Snack Cakes is perfect for snacking. These cakes can be stored in an airtight container at room temperature for four days. 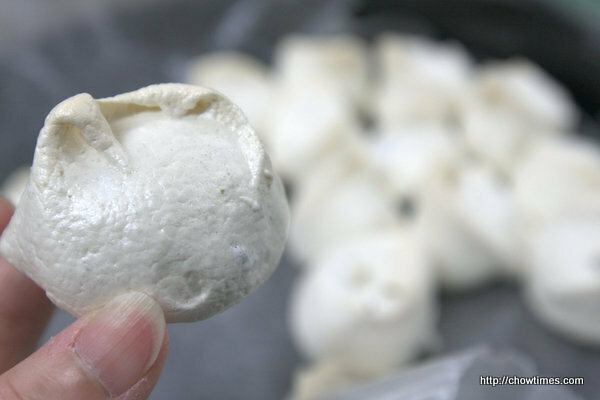 Michelle also made some Meringues as a Valentine’s gift to the participants. She calls it “Forgotten” Cookies because you can make these cookies the night before you want them and they turn our perfect when left in a cooling oven overnight! Source: this recipe is adapted from David Lebovitz’s The Sweet Life in Paris by way of Smitten Kitchen. 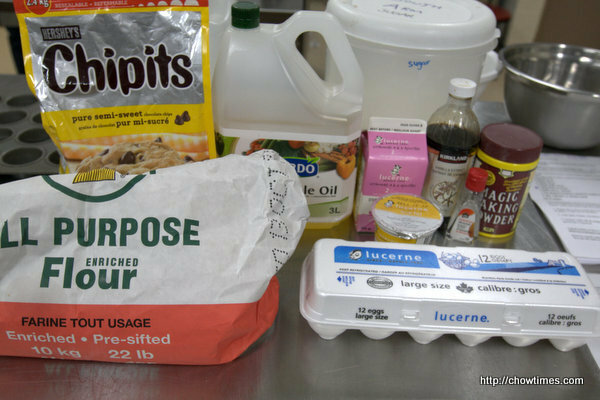 Makes 12 cupcake-sized snack cakes or 24 mini cupcakes. 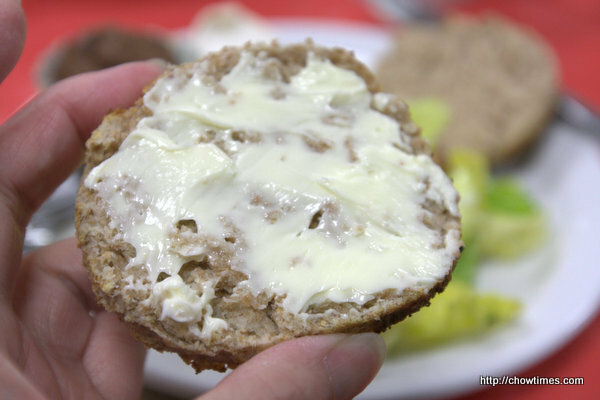 Michelle served the Farro and White Bean Soup with some Whole Wheat Biscuits. 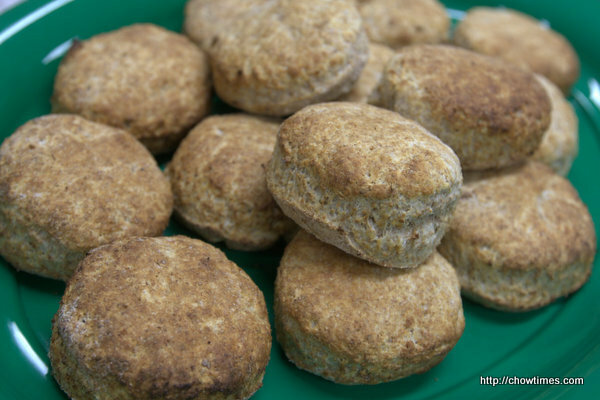 This Whole Wheat Biscuits are easy to make. Serve the biscuits with butter or jam. 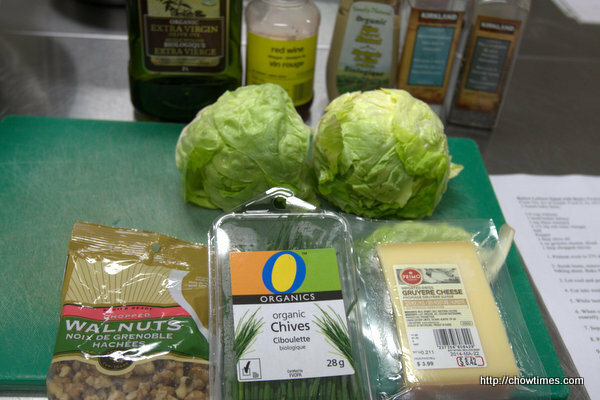 Michelle shared a Butter Lettuce Salad with Gruyere and Walnuts recipe at the South Arm Older Adults Cooking club. 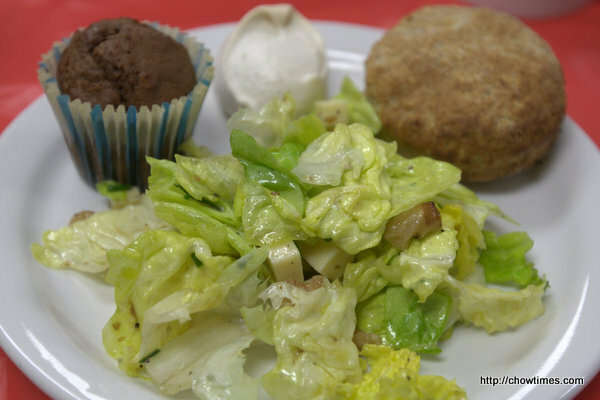 Michelle prepared 4 recipes for this session of South Arm Older Adults Cooking Club. 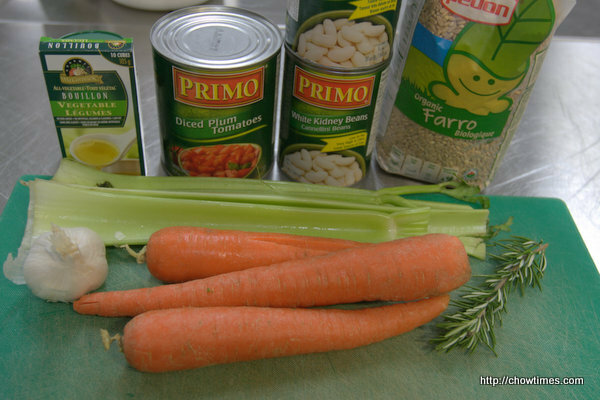 The first recipe is Farro (or Tuscan Spelt) and White Bean Soup. Making soup is a great way to use leftovers. 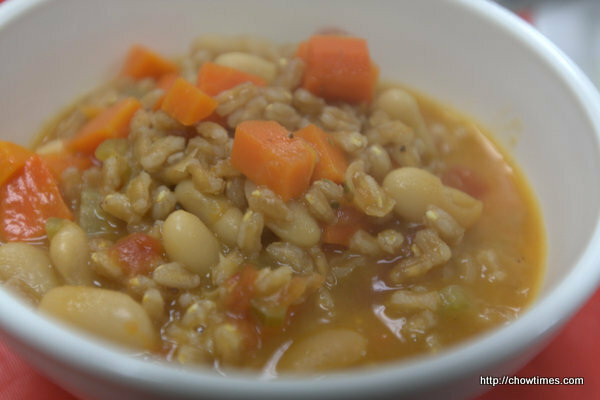 This soup is a complete meal with grains, beans and veggies. Farro is a grain related to wheat that is lower in gluten and has a different flavour and texture. 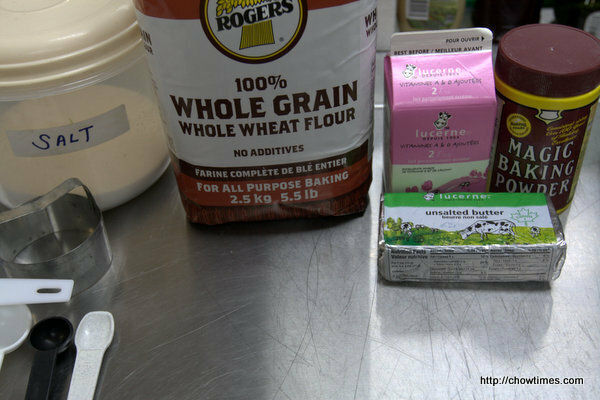 You can use spelt or barley in place of farro. P/S: we substituted the onion with extra garlic as onion was missing from the groceries list. Ben decided to surprise the family with a Malaysian meal on a Friday evening on his way back from work. We had noticed a new Malaysian restaurant on No. 5 Road a short while ago. 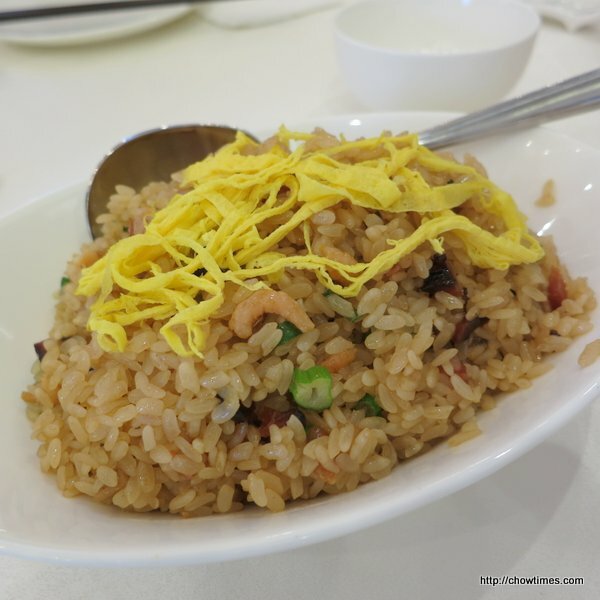 When I checked it out on Urbanspoon.com, I noticed that it only opens in the evening. 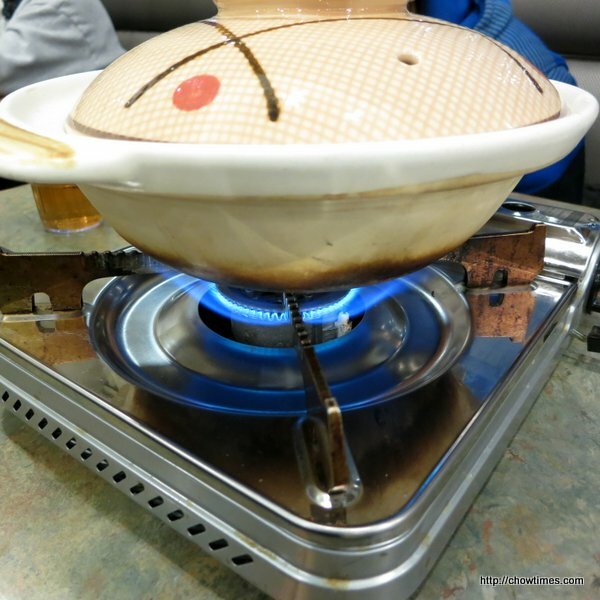 We usually eat out for lunch on weekend, so, we have not check this place out until now. 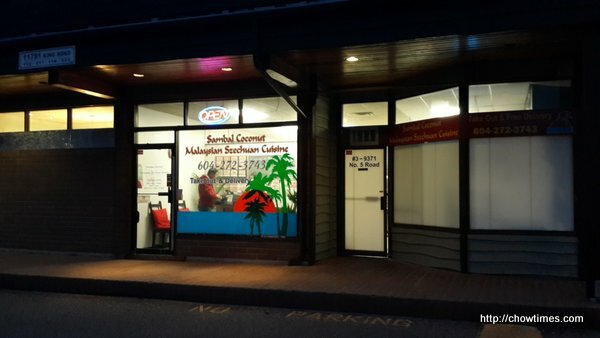 Apparently, Sambal Coconut Malaysian Szechuan Cuisine only caters for take out only. There is a 10% off for pick up with some conditions applied. 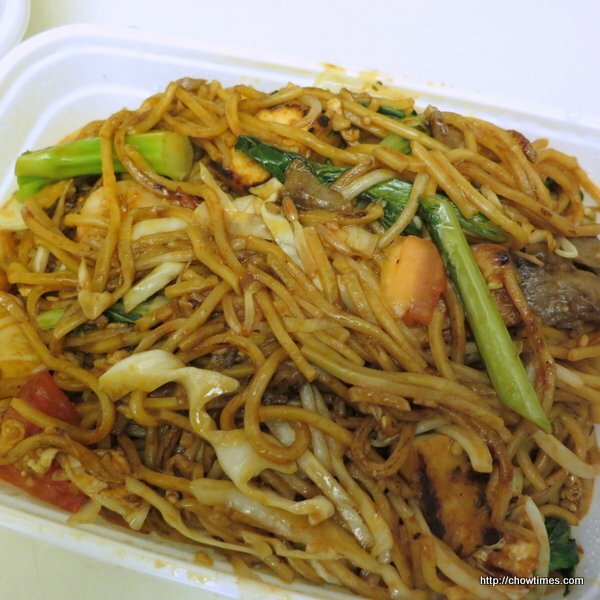 The above is Mee Goreng for $8.25. 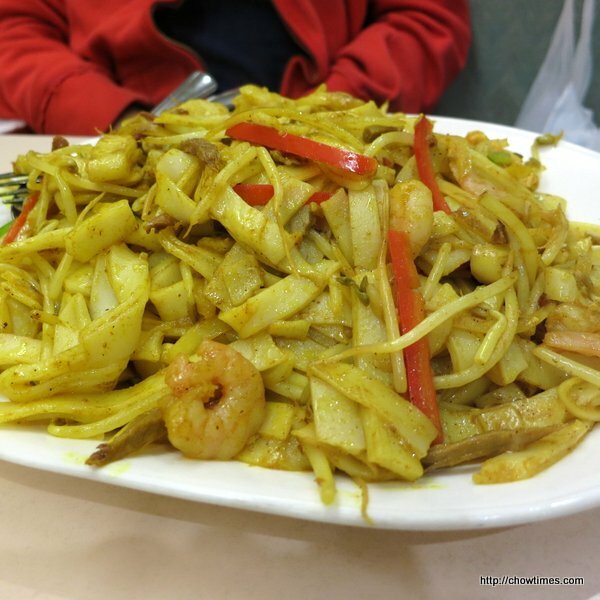 It has beef, egg, shrimp, tomato, bean sprout, choy sum, cabbage and tofu. This was slightly sweetish. Here’s a video about “Chopsticks” which was shared by a friend on my facebook a/c which I love to share with chowtimes readers. The copyright of this video remains with the original producer or production team at CCTV. We are two overseas Chinese who appreciate and admire the cultural value of this video and thus have added the English subtitles to this video in the name of promoting the intended meaning of this original video to the wider audience especially for those of English language speakers. I met up with Lorna for lunch on a week day. 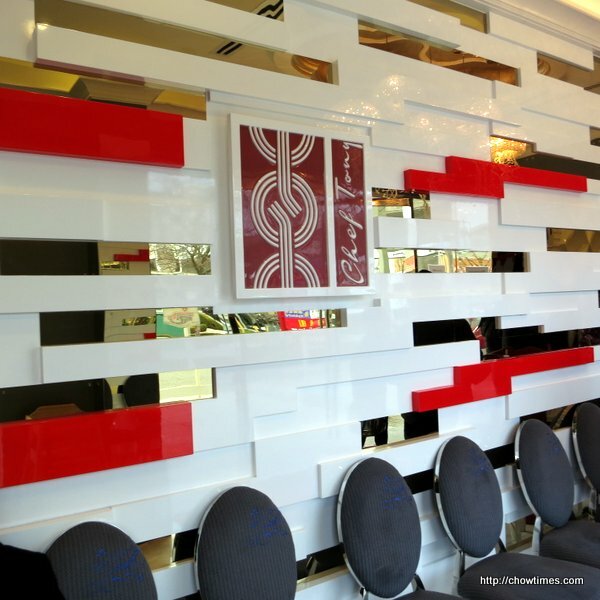 Initially, we intended to eat at Kiriri on Garden City Road. Unfortunately, the restaurant was closed for 10 days. So, we cross the road to look for another place to have lunch. 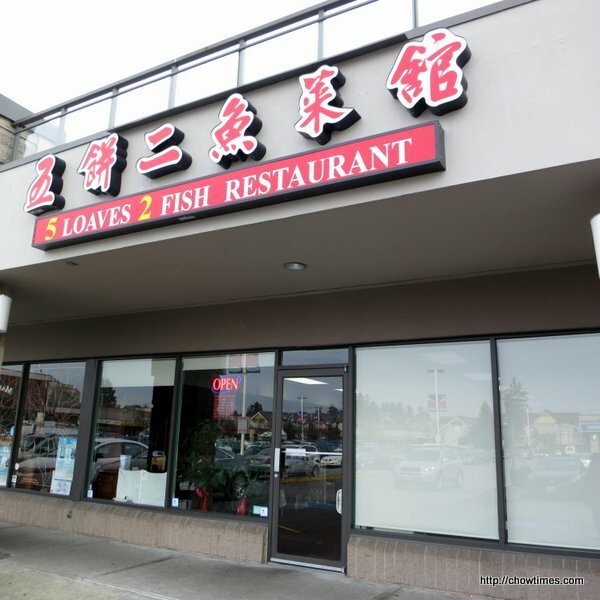 We decided to try the above new 5 Loaves 2 Fish Restaurant; a Northern Chinese cuisine restaurant. A while ago, Ben and I did notice this new restaurant. 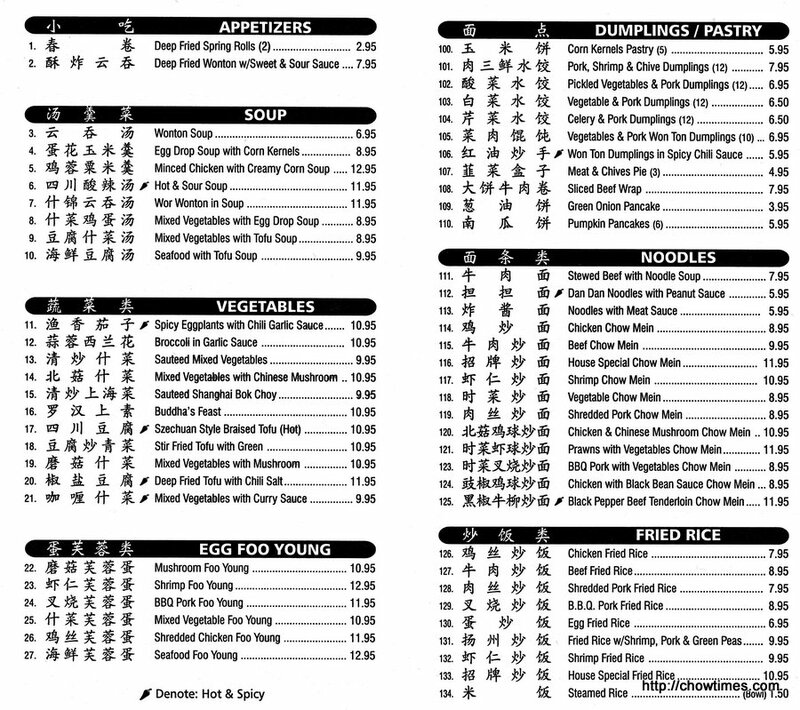 But a glance at their take out menu, it looks more like a chopsuey restaurant. The restaurant was quiet when we arrived; just one table was occupied. A while later, a few more customers walked in.